Anthony Joshua vs. Joseph Parker? Briggs Seekins September 27, 2017 Boxing, Headlines No Comments on Anthony Joshua vs. Joseph Parker? Last weekend in Manchester, New Zealand’s Joseph Parker held off Hugie Fury by majority decision, to retain the WBO heavyweight title. Parker has followed the victory by calling for a unification bout with IBF and WBA standard bearer Anthony Joshua, who is scheduled to defend against Bulgaria’s Kubrat Pulev next month in Wales. These are promising times for the heavyweight division, which should spell good times for the sport as a whole. After knocking out Wladimir Klitschko last April, Joshua earned more or less universal recognition as the top big man in boxing. But he cannot really be viewed as a true world champion yet. Tyson Fury is still technically the lineal Heavyweight Champion of the World, but he has not been in the ring since defeating Klitschko in November 2015. Last July he announced his retirement. Pulev is a legitimate contender, but Joshua should handle him next month. Parker would be the best possible opponent for him in his follow up bout. Meanwhile, in November WBC champion Deontay Wilder faces Luis Ortiz, arguably the best current heavyweight on the planet. If the winner of Wilder-Ortiz ends up fighting the winner of Joshua-Parker, all four belts could be united and a true king would be crowned at the top of the sport. In boxing, of course, what should happen often does not. But the dominos would truly appear to be in place for this heavyweight tournament. The excitement for these fights should continue to build and the money to be made will be too big to ignore. I expect Ortiz to hand Wilder his first professional loss. He’s the bigger man and far more technically skilled. On the other hand, Wilder’s athleticism and punching power cannot be dismissed. Somebody is going to emerge from that fight with a major win on his resume. 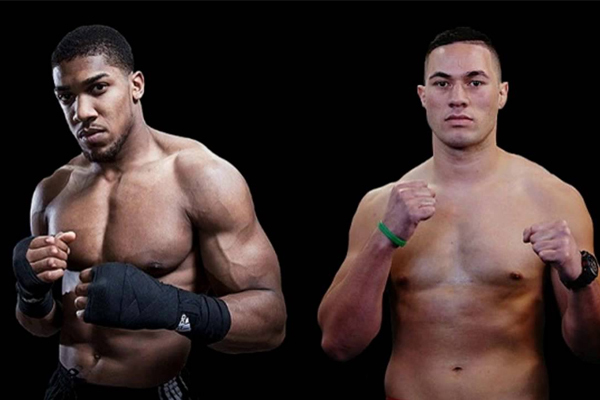 I think Joshua would knock Parker out–but it is a win that would give him three or the four major belts. Only the winner of Wilder-Ortiz would be left as a logical opponent.